Silvery Sunproof has glossy green, evergreen foliage edged in creamy yellow to white. Spikes of small purple flowers appear in the summer and are followed black berries (not edible) in the fall. 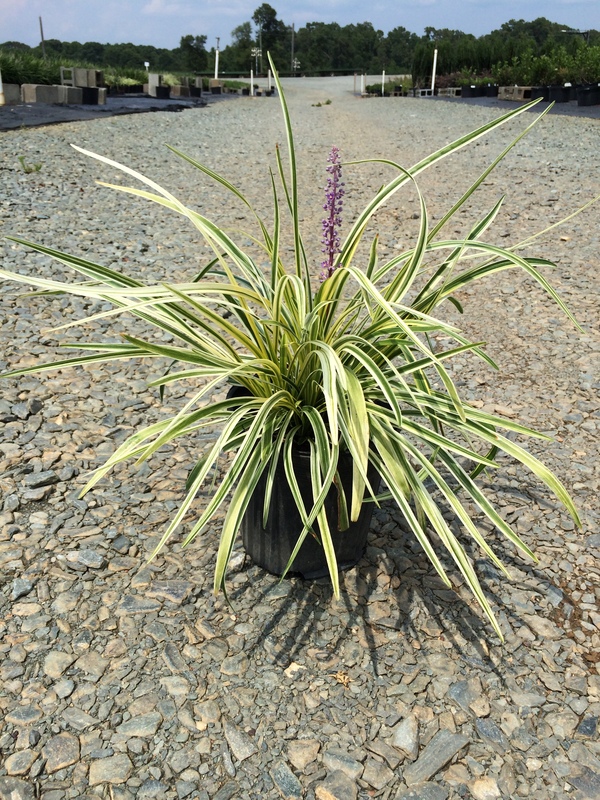 This is a clumping liriope that grows 12 to 15 inches in height and 18 inches in width. Grows in sun and shade.